Brazil - an "easier" export opportunity? Could it be so simple? In an April 1 article from Sao Paulo, Financial Times contributor Joe Leahy suggested that some of the rough edges around the commercial relationship between Brazil and the US could be filed smooth during a meeting this week between Obama and Rousseff. In fact, one of the easy steps to improving relations could be as simple as sharing a drink - at least figuratively. 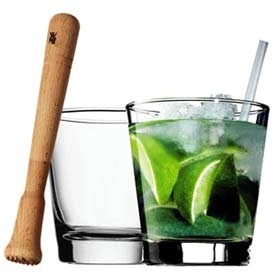 Brazil has been long annoyed by the protectionist stance of the US against cachaça in favor of Carribean rums. Could it be that simply reducing trade barriers for Brazil's national drink could be the important step toward a deepening of diplomatic and trade ties? Certainly the US and Brazil have a dynamic relationship. There is considerable mutual trade, and as Brazil has overcome many of its traditional challenges, that trade has expanded. Nevertheless companies eager to export to Brazil find that their international business development objectives are often frustrated by the bureacracy which is endemic to Brazil - and also to other emerging markets including the other BRICs. American companies face several challenges as they work to build export business in BRIC markets. At a strategic level the BRICs are keen to ensure that they receive consideration for their interests - that they are not merely expanding commercial destinations without commensurate global influence. Individual companies don't have much influence in this area but can certainly support the sensible commercial diplomacy programs undertaken by both departments of State and Commerce. Of more immediate concern to US exporters, though, are the barriers which are common across the BRIC markets. High tariffs, complex and capricious customs regulations and enforcement, widespread corruption and paralyzing bureaucracy are common aspects of these markets. But what if the BRICs aren't worth the hassle? Sure they boast mind boggling market potential - at least based on population. But if a company's export effort becomes bogged down with administrative hassles and FCPA compliance concern, then international business development becomes global frustration - without financial return. Eager to export, many companies pick markets reflexively based on headlines - and they often stumble into BRICs. That may not be the best approach. Other emerging markets often offer enormous market opportunity (guaged against the domestic 330mm) with an environment far more conducive to profitable business. Companies should pick their destination markets carefully to avoid export expansion and international business development frustration. Consilium Global Business Advisors helps companies make those strategic selections, and efficiently develop business in target markets.